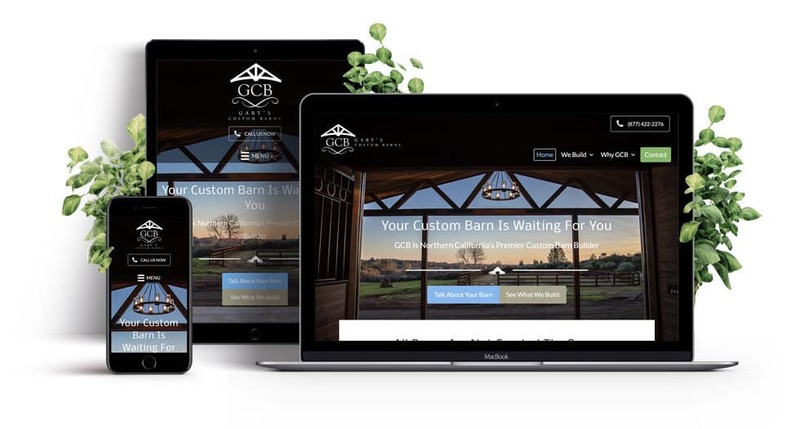 Our client came to us to refresh their website and brand to attract people who wanted higher quality barns. We redesigned his brand with a new elegant logo and website that showed off the professional photography of his work. The client approached Exprance through Yelp to redesign their digital brand. 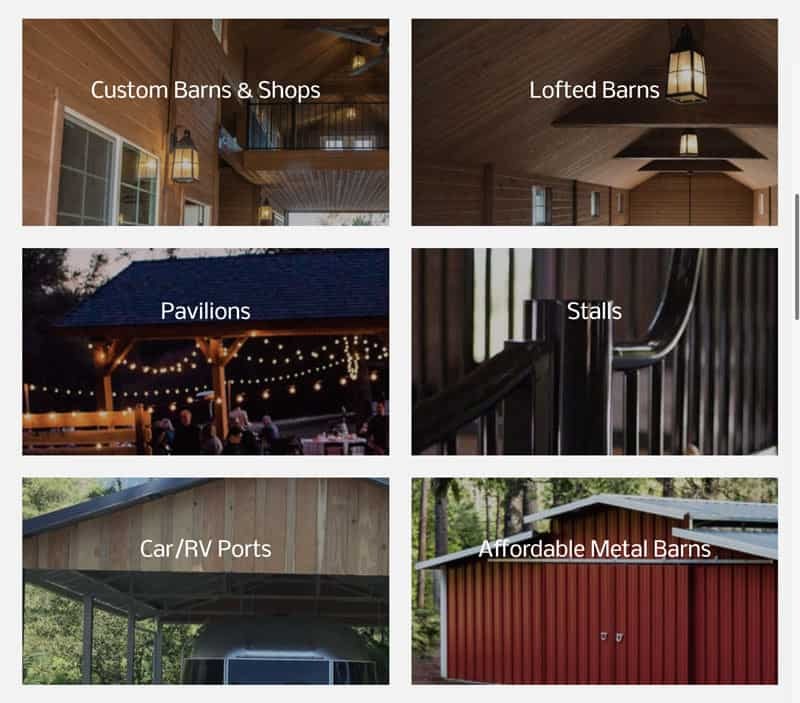 We first got to know the owner and what his vision is for the future of his custom barn building business. His goal was to attract a client who wants a higher end custom barn. With that information and several more details, we were able to put together a digital brand with a new logo and new responsive website. The logo was designed to be streamlined and represent the custom work of the business. The logo is quick to recognize yet not so obvious that it leaves nothing up to the mind. The most important part to emphasize was the barns themselves. 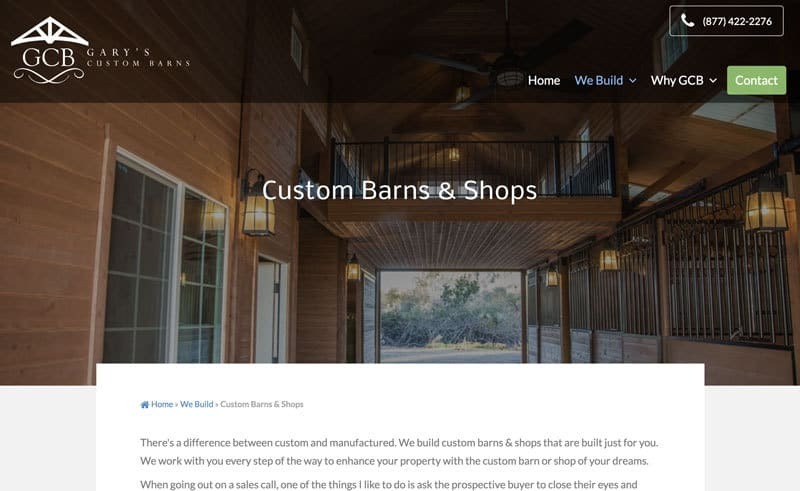 That's why the website is designed in such a way that puts prominence on pictures of the barns. In the end, it's also important to convert the right type of visitor into a lead. Every page makes it easy to convert with a quick form. It also has full tracking built in to see conversion rates and visitor behavior. Visitors come to a business website to find something or do something. That means the navigation and how everything is laid out defines how effective the website is. Because of the details that go into each project the contractor works on, each category deserves similar details. Every major category of project type has its own page to improve search engine optimization and provide all details. From the main category page, brief details are available with a beautiful picture overlayed with text. The goal is to effectively get visitors to what they're looking for as quickly as possible. Every page shows off the work of the contractor with a large beautiful full-width picture. There is form and function on every page meant to wow and convert. Each page of the website has a large photo that shows off the work of that category. These beautiful full-width photos also serve as the title section of every page. It sets the stage for wowing visitors as they get directly to what they want to see. Once visitors have seen the amazing work of the contractor it all comes down to converting them into leads. Trust is one thing that's lacking on the internet. You can't see a person on a business website and you aren't saying hello to anyone. That means it's necessary to take extra steps to prove trust. Social proof is an important part of any business website. 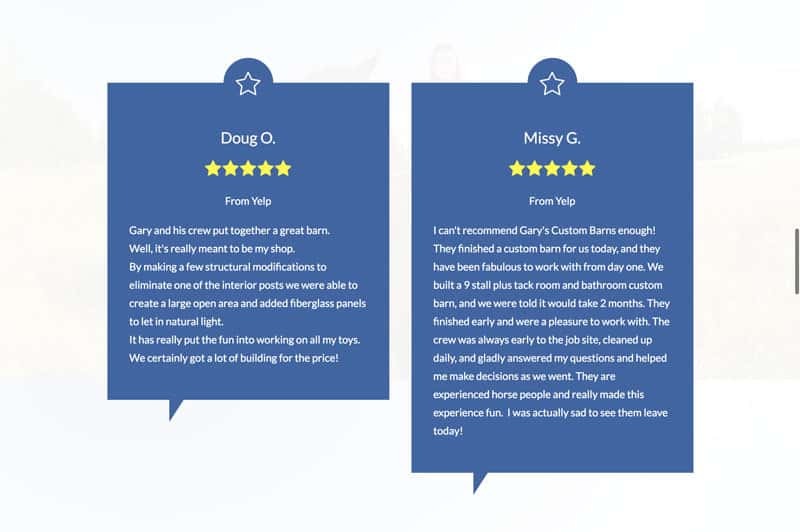 We took the social proof, available on a third party website, to show visitors what others are saying. Reviews are the most popular online trust signal which we put front and center. Every business has goals it would like to achieve. If a website doesn't meet the business goal then it's not going to pay for itself. Every page of this contractors website is built to convert visitors into leads. There is never more than a short scroll to convert to a lead. Not only that, the owner is always just a tap or click away from a phone call. On mobile devices, the button at the top of the page is a call now button that dials the owner. For bigger devices such as computers and tablets, the button is a phone number that also allows for calling if the capability is available. The goal of the project was to give the business an upscale feel to attract a different type of project. As a secondary goal, it needed to give the business a better sales tool than the current website. Updating the website from a template website to a custom designed website changed the dynamic of it dramatically. The project was a huge success. Both the website and logo came together to give the business an upscale feel. Both goals were achieved with the redesign and visitors immediately increased from organic search results. 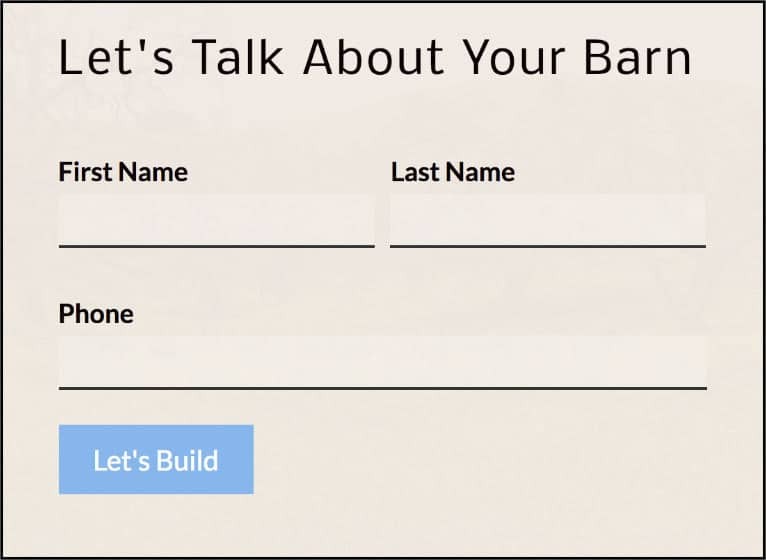 The website now also has goals also which helps determine how effective of a tool it is for driving more leads to the business.